The risks third parties pose to enterprises continue to mount even as security leaders accelerate their efforts to improve security overall. As CISOs improve network, endpoint, application and user level security, third parties have become the entry points for some of the largest breaches to date. 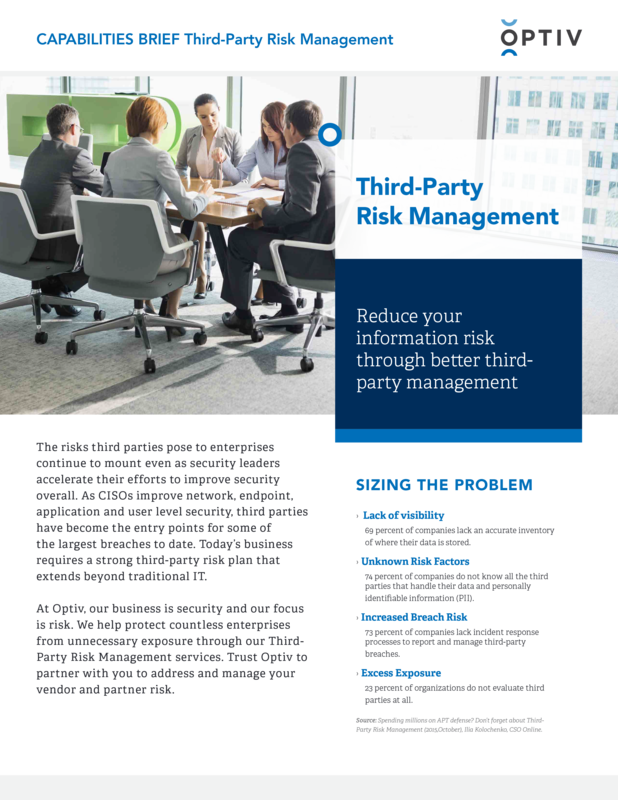 Today’s business requires a strong third-party risk plan that extends beyond traditional IT. At Optiv, our business is security and our focus is risk. We help protect countless enterprises from unnecessary exposure through our Third-Party Risk Management services. Trust Optiv to partner with you to address and manage your vendor and partner risk.